John Hilliard. Photo © Massimo Minini, 2016. John Hilliard, born in Lancaster, 1945, studied in the sculpture department at St Martin’s School of Art, London, 1964-7. His work has been the subject of numerous solo shows in galleries and museums in the UK, France, Germany, Holland, Belgium, Austria, Switzerland, Italy, Poland, Spain, the USA, Canada and Japan, and included in group exhibitions such as the Sao Paulo Bienal, the Paris Biennale and Documenta. He was appointed as Northern Arts Fellow in Visual Art (1976-8) and received the David Octavius Hill Memorial Award from the Gesellschaft Deutscher Lichtbildner in 1986. 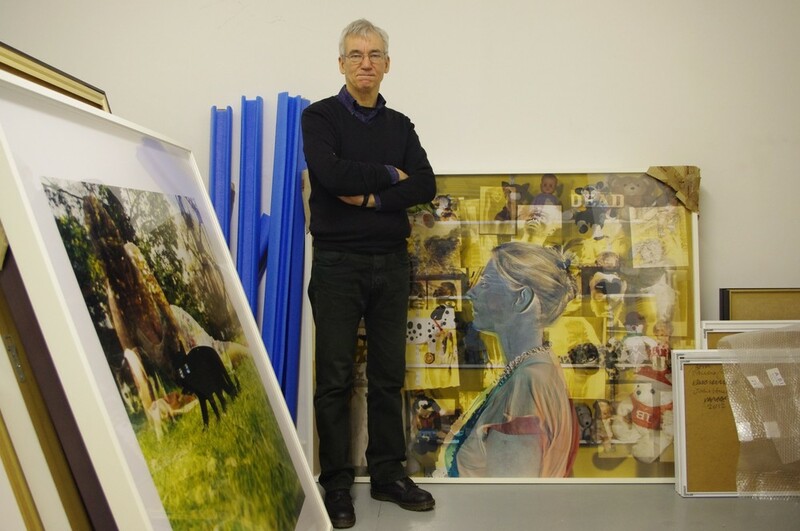 From 1968 to 2010 he taught in various art departments, including the Rijksakademie in Amsterdam and the Slade School of Fine Art, and is Emeritus Professor in Fine Art, University College London. Recent exhibitions: Galerie Max Hetzler, Berlin (2015); Galleria Massimo Minini, Brescia (2016).